Summer of Sonic Announces Tons of Events & Tickets Still Available! 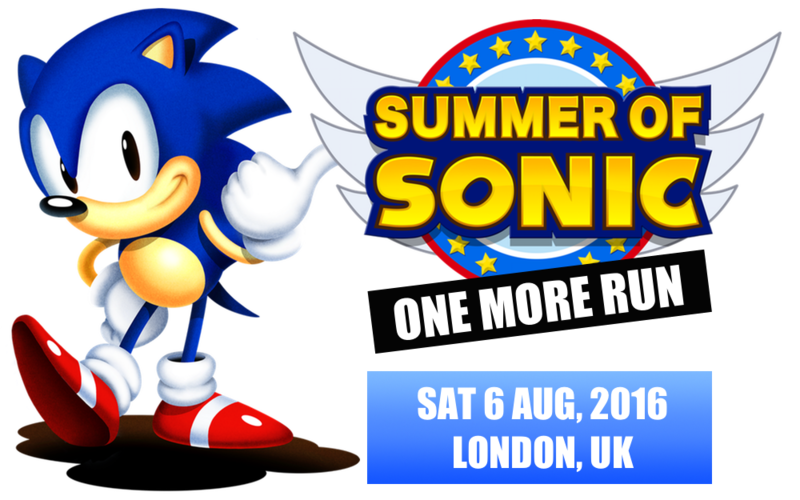 Summer of Sonic 2016 is almost upon us, the biggest party for Sonic fans is back again for one more run and it feels that almost daily that a new announcement is made, so let’s go through all of the recent ones. There has truly been some amazing costumes over the years, so of course this is making a return. For those interested in going to Summer of Sonic in costume this year, here are some important bits of information for you to know. There will be a signup booth close to the entrance of the venue, you’ll need to register here if you want in the contest. There will likely be a preliminary judging panel for finalists, this is due to the shere volume of people who come to the vent in costume. However if only a few people turn up (unlikely) this might change. There will be a changing room and cloakrooms! So if you don’t want to wear your costume on the tube or walk through the streets as Eggman (as awesome as that sounds) you can get changed at the venue. More details on how to enter the contest as well as details about the event can be found on the Summer of Sonic website. 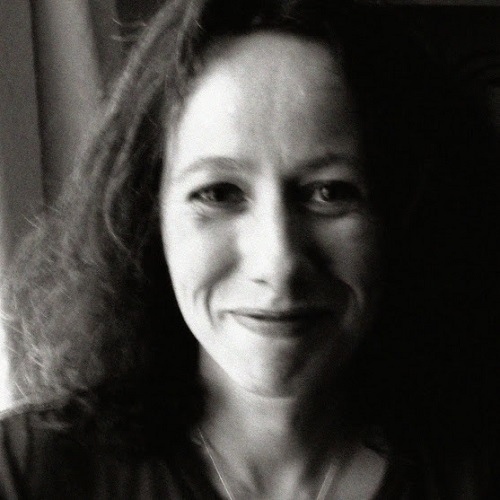 Richard Burton & Deborah Tate Confirmed! Sonic the Comic editors Richard Burton and Deborah Tate are coming to the event, Richard Burton has the honour of being essentially the creator of the comic and Deborah is responsible for making Amy a much more proactive and positive role model for female readers of the comic. Both will be present to meet and greet fans of the comic and new fans alike. Those who backed for a Summer of Sonic T-Shirt might be interested to see the finished design. The merch collector in me is drooling, sporting the Summer of Sonic logo on the front, the reverse has the official 25th Anniversary Logo, yes that’s right, it has been approved by Sega, it’s an official piece of 25th Anniversary merchandise exclusively for SOS Kickstarter backers. 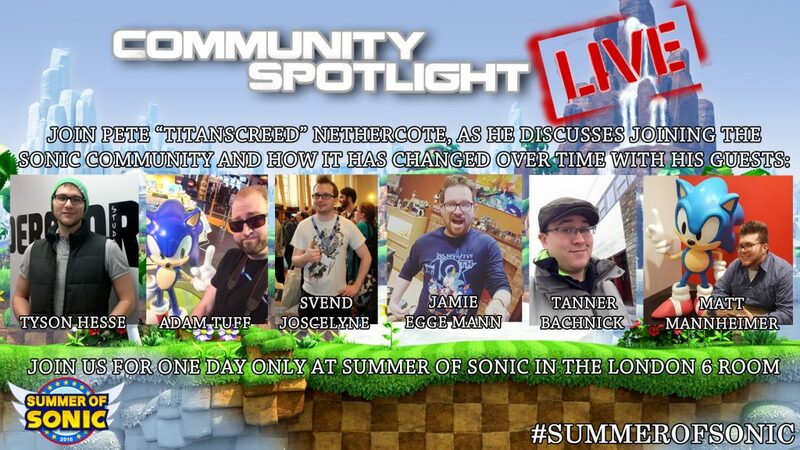 As with previous Summer of Sonic events, this years fun and games will be live streamed for those of you who can’t make it. 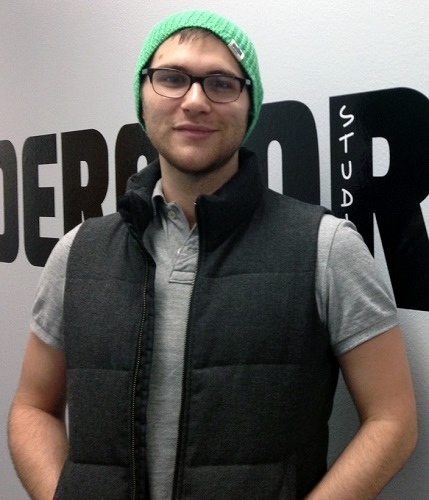 Archie comic artists Tyson Hesse is coming over for some fun too! Tyson has recently worked on the Mega Drive Sonic comic as well as the main Archie Sonic comic series, Boom and Universe. But one of his most notorious works is the infamous Boxer Hockey Sonic! Another contest is returning, for all you budding artists out there there will be pens and paper on hand for your best scribbles and doodles, but feel free to bring your own stationary if you like! There will be two competition brackets 15 & Under and 16 & over. To enter your artwork must be drawn from scratch at the event and not prepared in advance, more information will be available on the day as well as the deadline to submit your artwork. Think you know the history of Summer of Sonic? 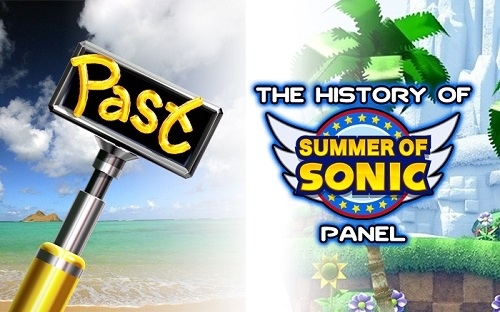 Think again, a special one off panel will be held at the event in which Kevin “AAUK” Eva, Svend “Dreadknux” Joscelyne & Adam “T-Bird” Tuff will be talking about how Summer of Sonic went from an idea in a tearoom to a major convention. There will be limited space to this panel and it will operate on a strictly first come first serve basis. Full details can be found at the SOS Website. You knew it was coming didn’t you? 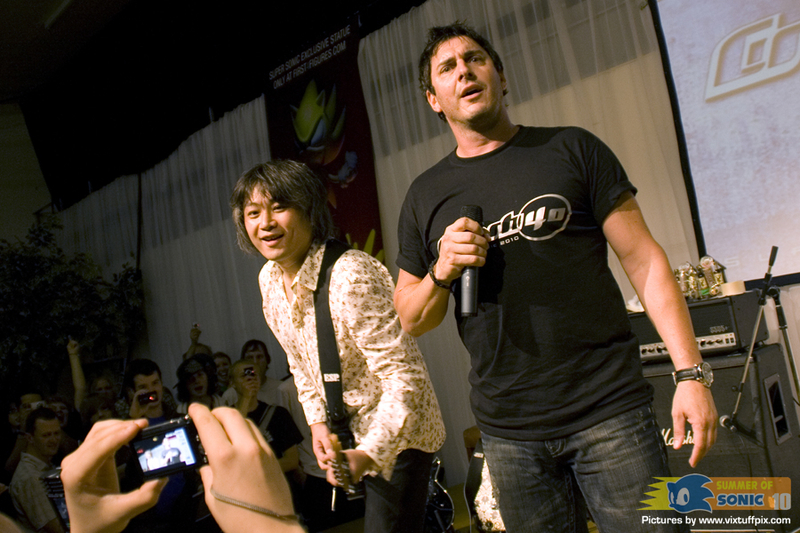 Crush 40 will be back at Summer of Sonic and will be performing to close the days events, what better way to end than to rock out with Jun and Johnny? Join Pete “TitansCreed” Nethercote as he speaks to Svend “Dreadknux” Joscelyne and Adam “T-Bird” Tuff, Jamie Egge Mann & Tanner Bachnick of The Sonic Show, Matt Mannheimer of Tails Channel and Tyson Hesse about how the Sonic community has changed over the years, as well as taking questions from the crowd. Someone ask Svend what Tails’ Superstar move from Sega Superstars Tennis is. 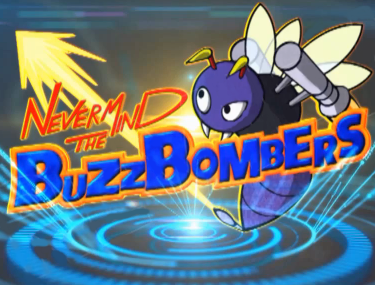 Nevermind the Buzzbombers is back! Another staple event of Summer of Sonic, Nevermind the Buzzbombers returns for it’s 6th instalment, two teams will play some games and answer some questions to prove who knows the most about Sonic. As before, there will be surprise guests on each team and audience members will be invited to take part in order to win some prizes! If you want to be in with a chance to get picked, be sure you’re at the main stage for the start of the event, and make sure the Captains know you are the one to pick! Feel free to hold up signs, hire a sky writer, or invade the venue with a badnik army – the most stand out guests in the audience are the most likely to get picked! 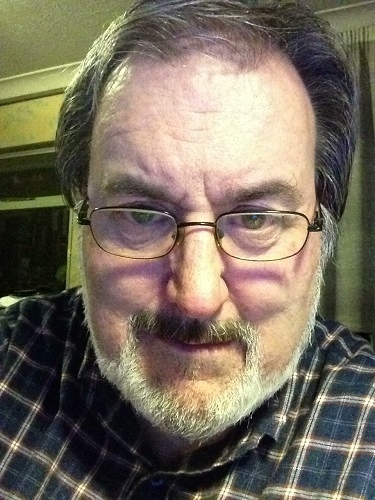 And as before the event will be hosted by… *looks around* me! Yes you read that right! If you missed out, tickets are still available if you want them. There’s a small number still up for grabs, if you want them they cost £20 each and you can get them via the Summer of Sonic website, this is the link you need if you want to join us for one awesome day! With both America and Japan having 25th anniversary themed parties, many people in the UK were asking ‘what about us?’ Well… Something might be happening. Continue reading Summer of Sonic 2016 Hinted?